We install uPVC residential doors across Hull and surrounding areas. 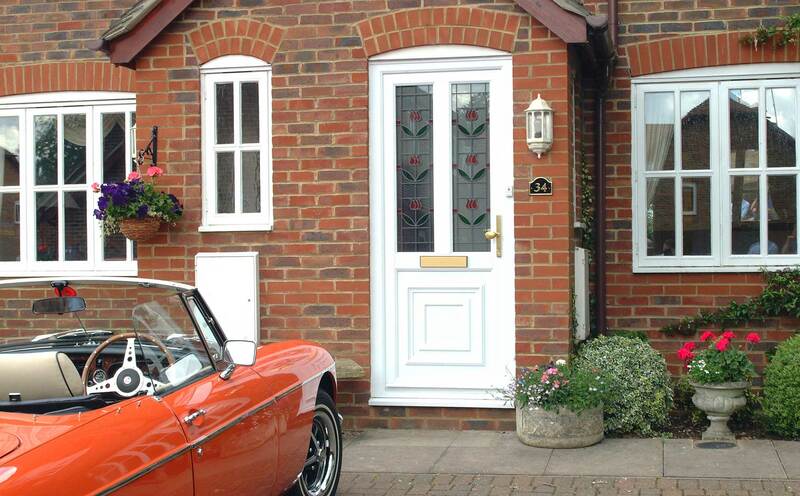 Choose from our extensive range of high quality uPVC residential doors! uPVC residential doors have proven themselves to be a timeless classic when it comes to enhancing the comfort and look of your home. 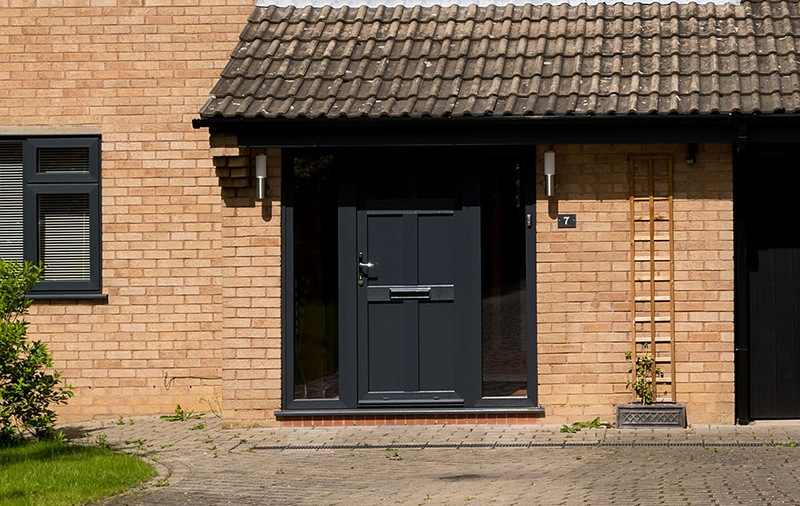 Serving as a practical, beautiful and high-performance addition to your property, our uPVC doors have been designed to meet the demands and expectations of the modern day to ensure you get the perfect fit. To ensure the highest standards are achieved, our uPVC residential doors utilise an industry-leading uPVC profile. With this factor in mind, you’ll be able to enjoy outstanding levels of thermal efficiency and security to help you feel completely comfortable in your home. When you choose Vulcan Windows, you won’t have to settle for anything less. An inherently robust design and high security, multi-point locking systems perfectly combine to keep your home protected from even the most determined intruders. All of our uPVC residential doors have been designed to combat modern burglary techniques, so you’ll have the peace of mind that comes with a cutting-edge standard of crime prevention. Bringing a heightened degree of energy efficiency to your Hull home not only allows you to keep the winter winds at bay, it could also enable you to save money on your heating bills throughout the year. All of our uPVC residential doors comprise a multi-chambered design, trapping in pockets of warm air to help your home get warmer and stay warmer for a longer period of time. Unlike their timber counterparts, our uPVC residential doors require very little maintenance to ensure they perform at their best. They won’t rot, warp, twist or bow out of shape when they are exposed to the elements, and all you will have to do is give them a quick wipe with a damp cloth to ensure they keep and full and vibrant look. With you in mind, all of our uPVC residential doors are designed to offer you the best in both function and form. Not only does this mean that you’ll be able to bring a worthwhile investment for your property in Hull, it also means that you can enjoy beautiful aesthetics along the way too. Whether your home is modern, traditional, heritage or new build, we’ll have something to suit. The uPVC doors that we offer are accompanied by comprehensive 10-year guarantee, which will ensure they bring lasting quality to your property. They are also available in a wide range of styles to accommodate your tastes, allowing you to bring something special to your home that helps to simultaneously complement your property style and personality. Use our online quoting engine to get a quick and accurate estimation. We want to make sure you are maintaining the highest standard of safety and security, which is why we work with market leading suppliers, Ultion. Their multipoint locking systems are industry leaders, providing you with a strong, sturdy door. Click through the tabs below to read more about their unbeatable locks. The security of your home is important to us, that why we choose market leading Ultion locks. The Hidden Attack locks have a lockdown mode which is activated when an attack is detected. A hidden pin secures the central cam which prevents potential intruders from entering your home. These incredible locks have achieved the highest accolades having received Police approval and the highest Kitemark star rating available. Moreover, these locks have been tested by the Master Locksmith Association and obtained the Sold Secure Diamond award. The majority of security locks use 5 or 6 pins. Our Ultion locks have 11 pins to create 294,970 combinations which is over 3 times as many than on other locks, which increases the defence of your property against lock picking. To protect your lock against attacks from drills, there are 20 hardened steel pins and plates strategically placed at the front and back of the lock. The precise locations of these steel elements provide the ultimate in protection. Getting the right colour for your door can help to really bring it to life, which is why we offer a wide selection for you to choose from. This also includes a selection of woodgrain foils that allow you to capture the appearance of a classic timber door without having to worry about any of the maintenance problems that have been known to accompany the material. All of the colours that we offer are finished with a durable coating to ensure they maintain their fullness over the years. At Vulcan Windows, we know the importance of high-quality installations. This is why all of our expert fitting teams are tested and assessed for their product competency, ensuring each of our uPVC residential door installed in Hull are done the right way. We always work to the highest standards of professionalism, reliability and promptness to minimise overall disruption to your daily life. With this in mind, you’ll be able to enjoy a residential door that operates to the highest standards across the board. This is important, as poorly fitted doors can often result in draughts or leaks, as well as security or functionality problems later on down the line. This is not something you need to worry about with Vulcan Windows. Visit our online quoting engine to get a free, instant and highly competitive uPVC residential door price. Our simple, easy to use online tool will allow you to get a bespoke price through a step by step process, making things as cost-effective for you as possible. You can also get in touch with us via our online contact form should you have any questions about our uPVC residential doors in Hull or nearby. A member of our friendly team will be more than happy to handle your enquiry. We look forward to hearing from you.